How to Use a Gaff Deck of Cards. 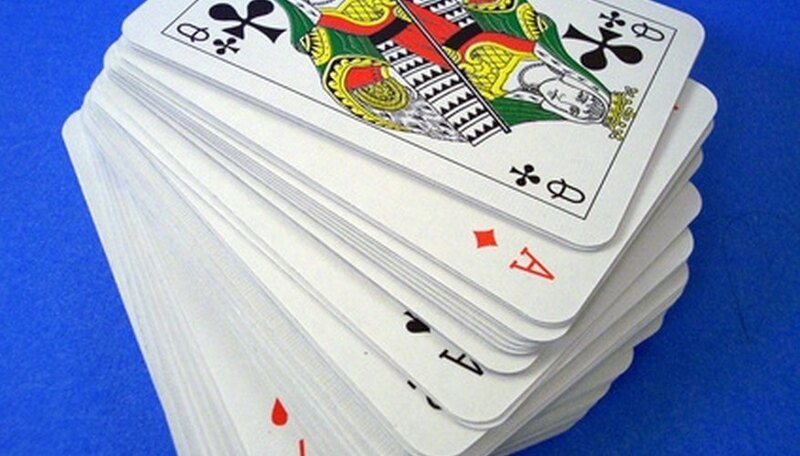 A Gaff deck of cards is a deck consisting of all trick cards. These cards are specifically designed to be used with different types of decks and can allow a magician to create his own tricks. Gaff decks are not actual or usable decks of cards, but rather just a lot of trick cards crammed into one case. They are extremely versatile and useful. This tutorial will help you understand how they work. Inspect all of the cards. Gaff decks should not be used until you know and understand the purpose of each trick card. Separate the gaff cards into piles of each different type of deck. For instance, a gaff deck may come with trick cards for red-backed, blue-backed, ghost, or black tiger decks. It is important to know where these cards should be used. Steps #3 and #4 are variations of the same rule. For this step, be sure to read the gaff deck manual, as it will contain tricks to learn. If you do not have a manual, study each card and think of how it can be used. You should not use a gaff deck until you are well-versed in techniques like double-lifting or forcing cards, so that seeing certain cards will immediately inform you whether one of these techniques is needed. Never use the gaff deck as a regular deck. The cards all have different colored backs and there are usually more than fifty-two in a deck. Do not go overboard with usage of trick cards in a performance. This will key an audience member in on the usage of fake cards. You can do various tricks and end with a gaff trick, but not the other way around (various gaff tricks ending with a normal trick). Have fun and create your own tricks! These decks will allow you an unlimited amount of possibilities for tricks, so take advantage of that. There are different types of gaff decks out there and all have different trick cards. Do not just settle on one.